Hi! 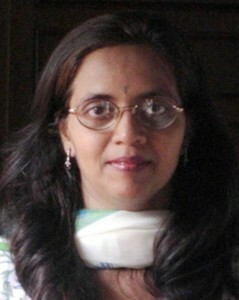 This is Ashwini. I work as an Assistant Professor in the Department of Pharmacology at Topiwala National Medical College & B.Y.L. Nair Hospital at Mumbai, which happens to be my alma mater. After finishing my M.B.B.S., I did my postgraduate studies in Pharmacology from Seth G.S. Medical College & King Edward Memorial Hospital, with twin objectives in mind. First, I love pharmacalogy and I love to teach. Teaching is in my blood as my mother, aunt, and both my maternal and paternal grandmothers were teachers. At GSMC, where I worked as an Ad hoc Lecturer, I got introduced to the world of Medical Teaching Technology and the wonderful FAIMER family. I have been greatly enjoying my FAIMER journey which started as a Fellowship in 2006 and has continued as a National Faculty member for the FAIMER workshop. At Nair I am actively involved in the ME Unit and work as a secretary. I am also involved in the Institutional Animal Ethics Committee. Vivek, my husband, a Chartered Account by profession, is very supportive and Abhishek my 8-year old son feels proud that his mother is a doctor-teacher who teaches big students. Teaching is my passion and I will continue to do so till the end. I am Dr. Henal Shah, a psychiatrist working as an Associate Professor in a municipal hospital and medical college of Mumbai: Topiwala National Medical College and B.Y.L. Nair Charitable Hospital. My schooling and medical training was in Mumbai. Since my school days, I was fascinated with the mind and thus psychiatry was a natural extension of this passion. After completing my psychiatry training, M.D. Psychological Medicine, I did a short stint as a postgraduate student at The Royal Hospital for Sick Children, Glasgow. As a resident, I realized that I enjoyed teaching and research. I decided to continue as a full time teacher in the municipal run medical colleges and hospitals of Mumbai. For over a decade I have been enjoying this. My areas of interest are child psychiatry and medical teaching. I have done a regional FAIMER fellowship in Mumbai (2006-2008) and in Philadelphia (2008-2010) and enjoyed them thoroughly. I am married to Rakesh, a pediatric surgeon. We have our hands full with two adolescents, Yajas and Bhumika. I enjoy reading and traveling. This is Ramji, presently working as Professor in Physiology at Mahatma Gandhi Institute of Medical Sciences, Sevagram, Wardha. I have been in the teaching profession since September 1983. I was born in eastern Uttar Pradesh, and completed my school education in the villages of Gorakhpur, Basti, and Deoria districts of eastern UP. I graduated in Medicine from Sri Krishna Medical College, Muzaffarpur, Bihar, in 1980 and did postgraduation in Physiology from King George’s Medical College, Lucknow, presently known as Chhatrapati Shahuji Maharaj Medical University, Lucknow. 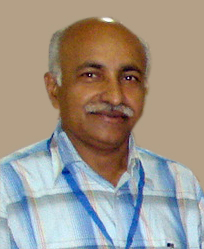 I started my regular teaching and research career as a Lecturer at Mahatma Gandhi Institute of Medical Sciences, Sevagram, and was promoted to the posts of Associate Professor (1991) and Professor (1998). Apart from teaching and research publications, I have the credit of organizing the National Conference of the Association of Physiologists and Pharmacologists of India in 1999. I also organized national and international CMEs on hypertension, holistic medicine, and medical education. Being in teaching, I went through the Teacher’s Training Course at the National Teacher Training Centre, Jawaharlal Nehru Institute of Postgraduate Medical Education and Research in 1994 and subsequently did a GSMC-FAIMER fellowship in 2006. Based on these achievements I was adjudged Best Teacher and awarded by the Association of Physiologists and Pharmacologists of India in 2008 at Kasturba Medical College, Mangalore. My wife, too, is a teacher and teaches basics of computers to school children. I have two sons; the elder one is appearing for D. Orth. and younger one is appearing for Final M.B.B.S. this year.